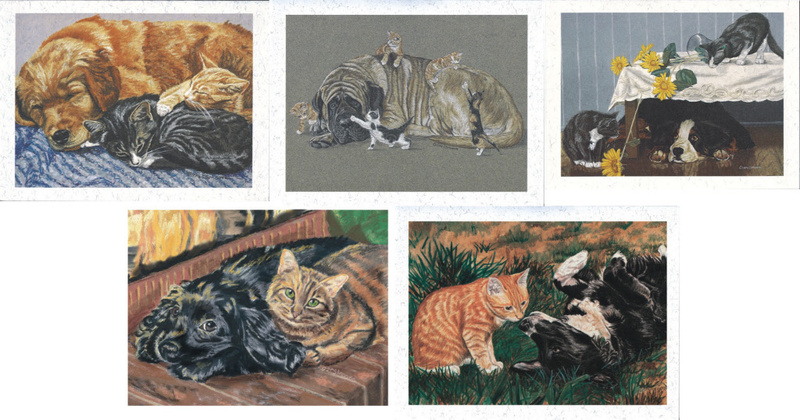 Beautiful and high quality cards created by Cecile Moore of Barx Bros. Inc. These beautiful cards were created by Cecile Moore. 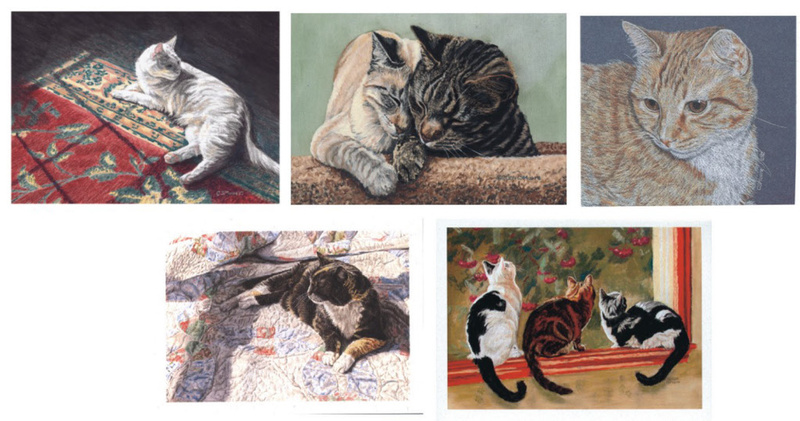 Most of her paintings are done from photographs of her animal family and those of friends. Printed as much as possible on recycled paper. Each box contains 50 assorted cards; 10 each of five designs and different preprinted messages. "A special life leaves us memories and memories live forever"
"Grieve not, nor speak of me with tears, but laugh and talk of me as if I were beside you....I loved you so - 'twas heaven here with you"
"With deepest sympathy in the loss of your companion"